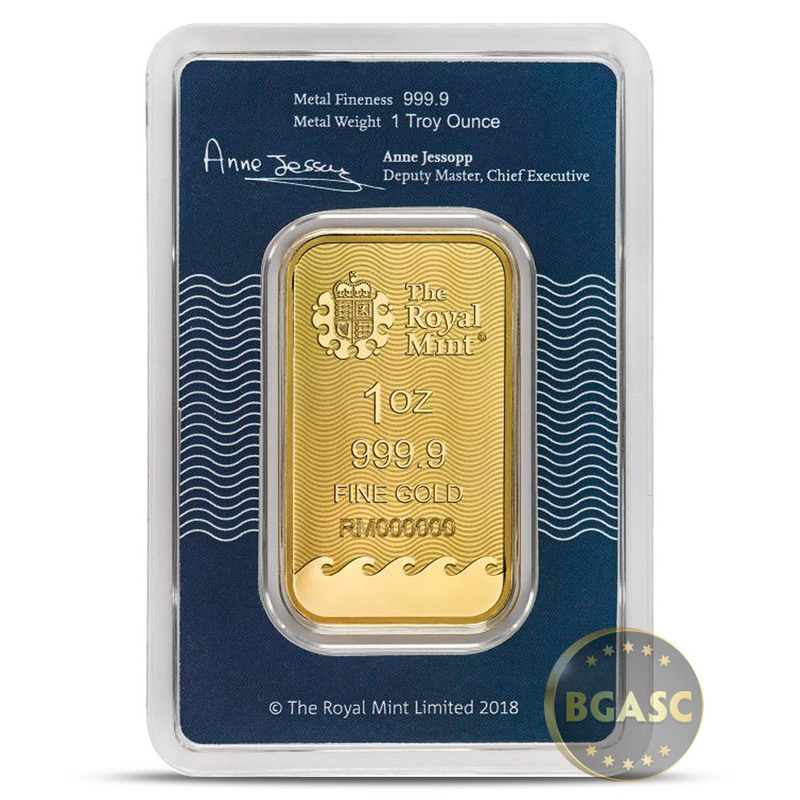 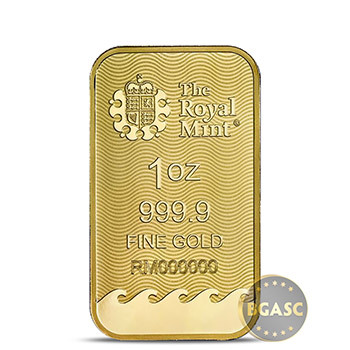 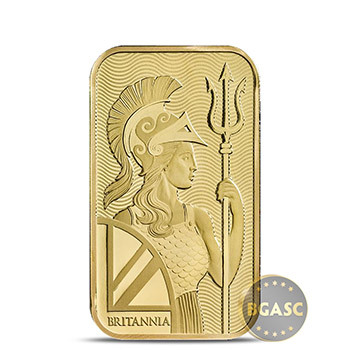 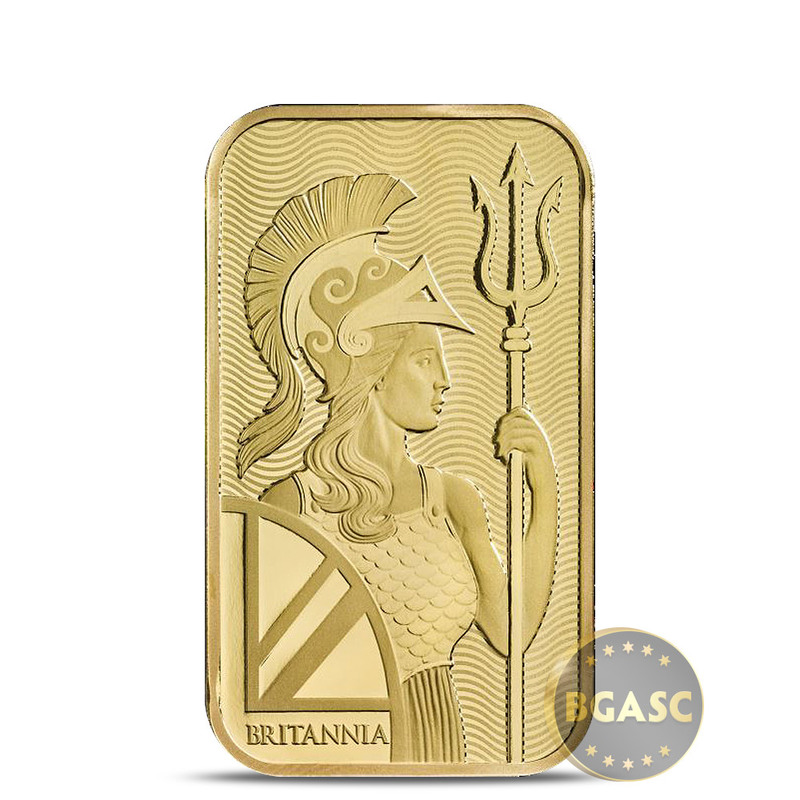 BGASC is pleased to offer the new 1 oz Gold Royal Mint Britannia Ingot, a .9999 Fine (24kt) gold bar sealed in Assay packaging from The Royal Mint. 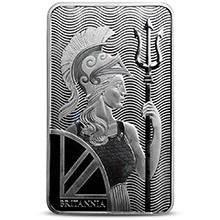 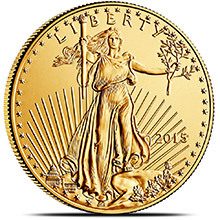 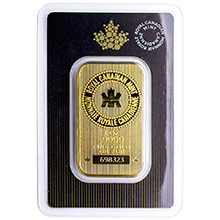 This attractive mint-sealed gold ingot appeals to both investors and collectors alike, as it features purity and security as well as a pleasing design. 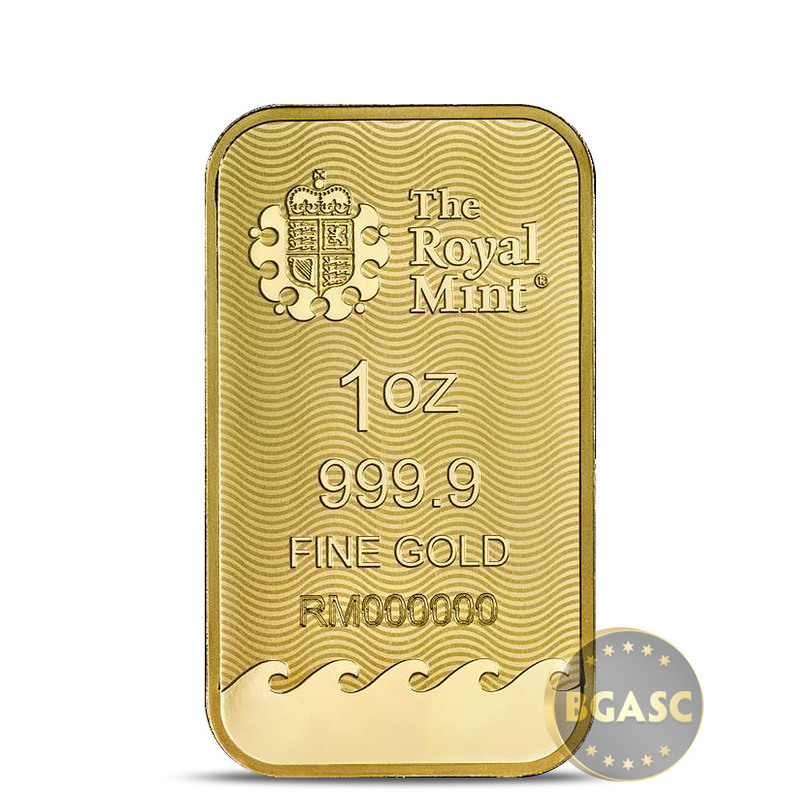 The Royal Mint is an innovative and modern mint with state of the art facilities, machinery, equipment and techniques, based in Llantrisant, South Wales. 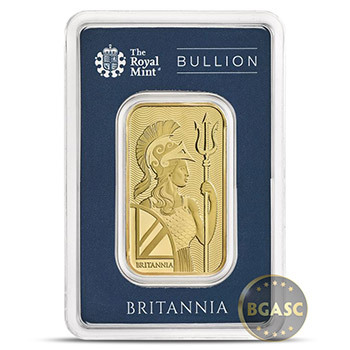 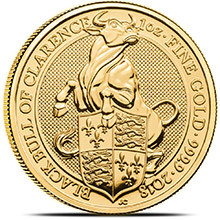 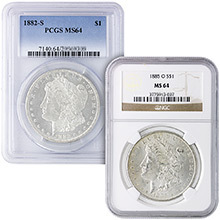 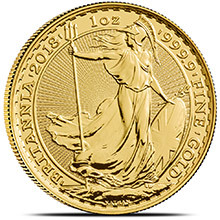 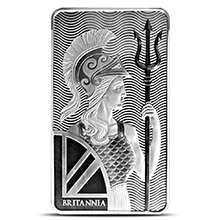 The Royal Mint has a history that spans more than 1,000 years, with its roots in the ninth century and is one of the world's oldest institutions, with a trusted reputation.